If you are coming for business or just pleasure, Tijuana will be the perfect host for your stay. You will find entertainment, art, culture and the best ambient. 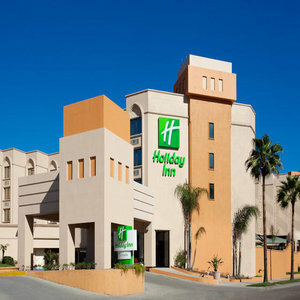 Holiday Inn Tijuana is located 5 minutes from the border with San Diego, California, and has easy access to the main industrial zones of the city, making us the ideal choice for all travelers. Corporate travelers appreciate our location in Tijuana as we are in the business and commercial district known as Zona Rio. Our hotel has 4 meeting rooms that can accommodate up to 400 guests. And when it's time to relax you can plan a visit to our Spa which is famous for its natural hot springs, perfect for relaxing after a hard day of work.